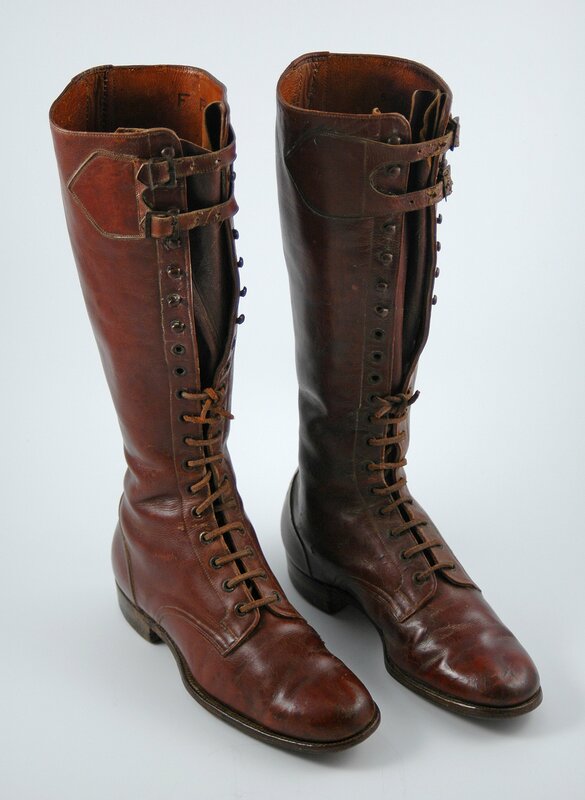 Pair of leather boots with provenance to Lord Roberts. Circa 1900. 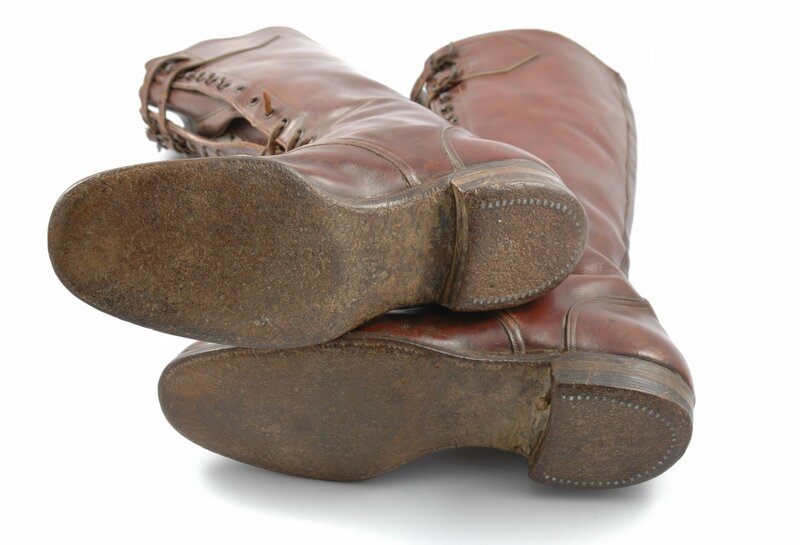 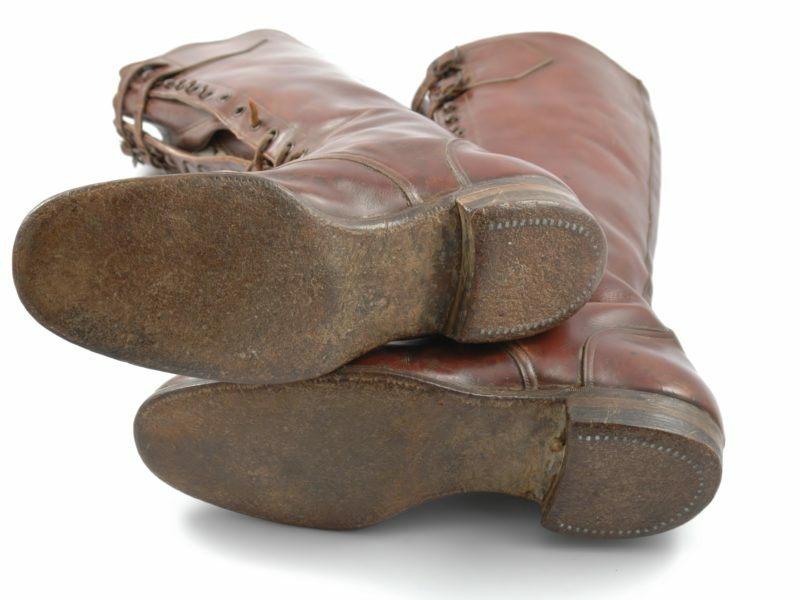 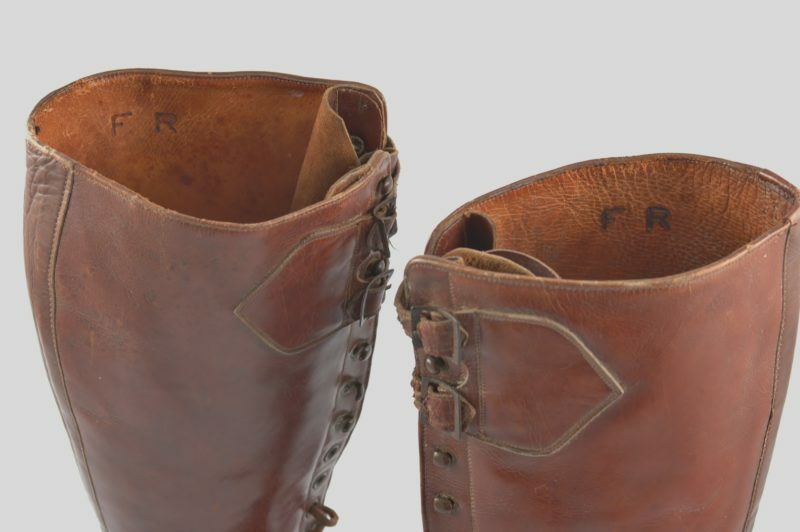 A pair of leather boots that belonged to Lord Roberts, Commander-In-Chief of the British Forces fighting in South Africa during the Anglo-Boer War. 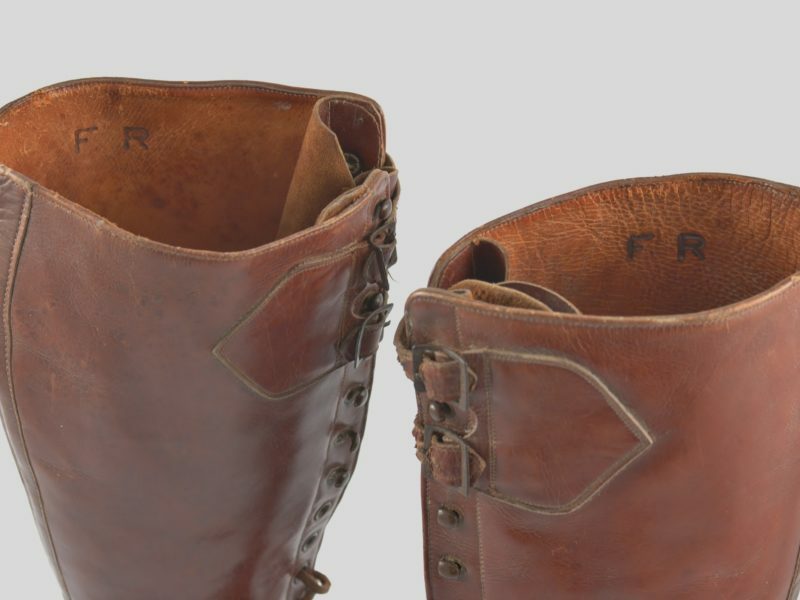 They were used during the campaign which brought about the crucial turning point of the war, after what was known as “Black Week” in December 1899. 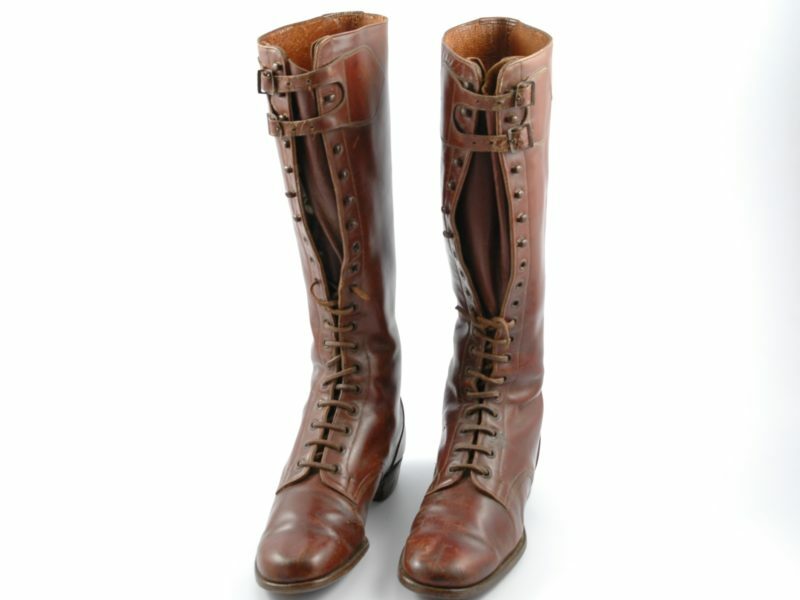 Lord Roberts ended a succession of British defeats; captured Bloemfontein, capital of the Orange Free State Republic on March 13, 1900. 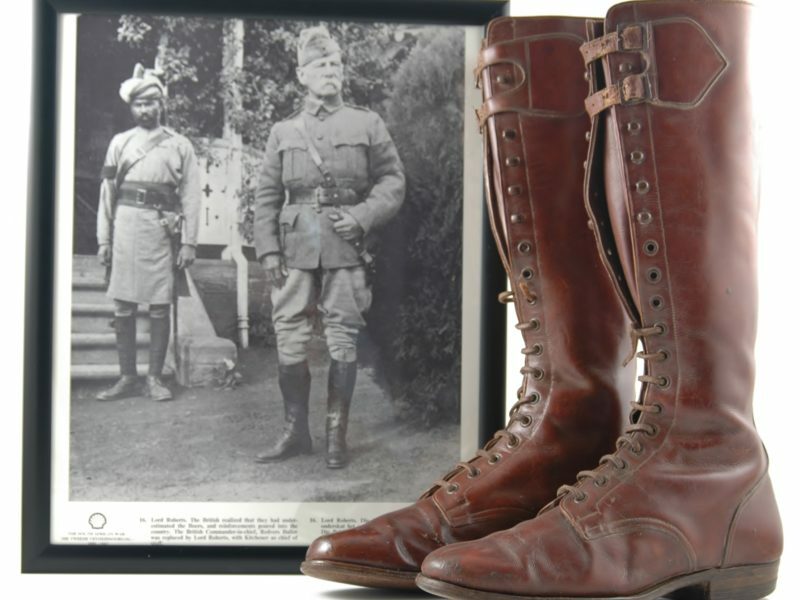 He proceeded to capture the cities of Johannesburg and Pretoria and at the battle of Dalmanutha in August 1900 he brought about an end to the conventional war. 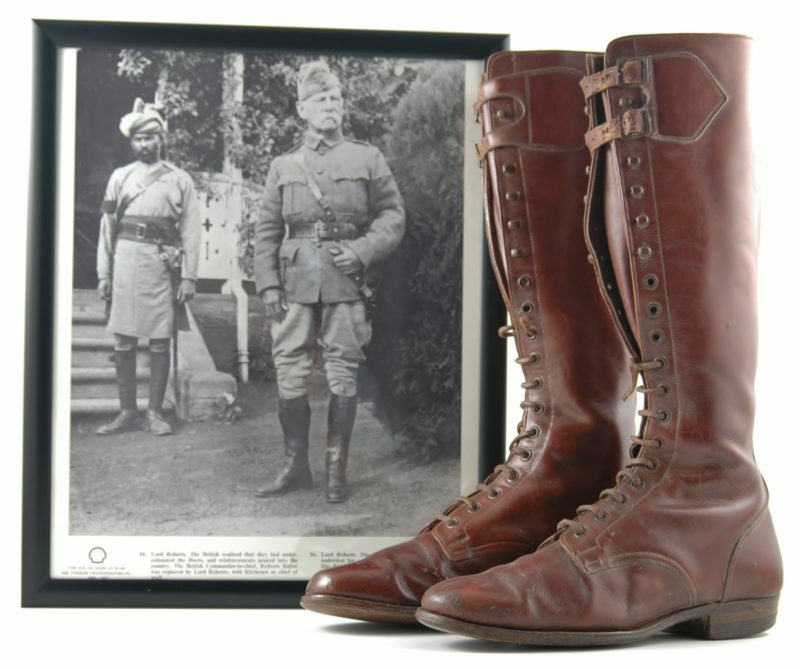 In November 1900 he returned to England giving way to Lord Kitchener who became commander in chief in South Africa. 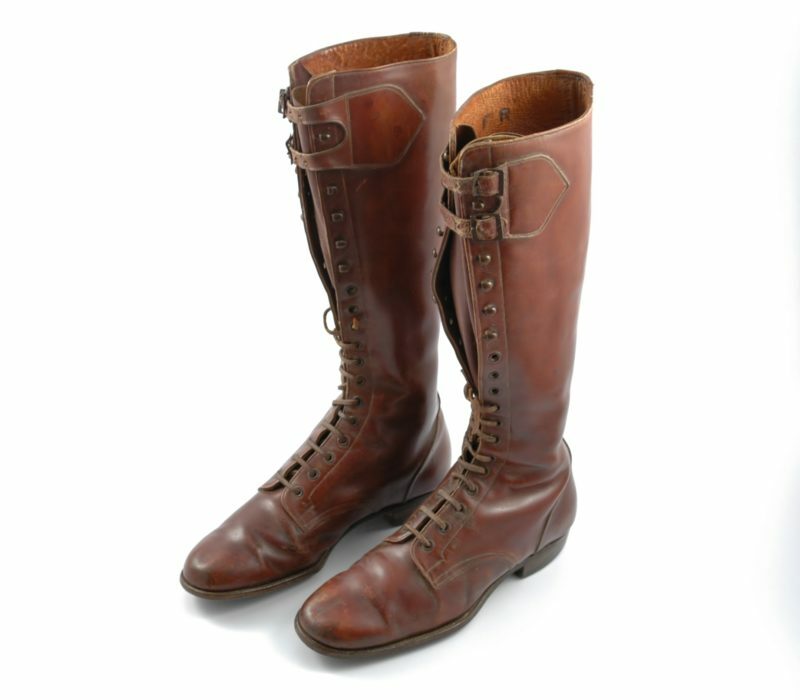 Lord Roberts died in November 1914 and was laid to rest in St Paul’s Cathedral, London. 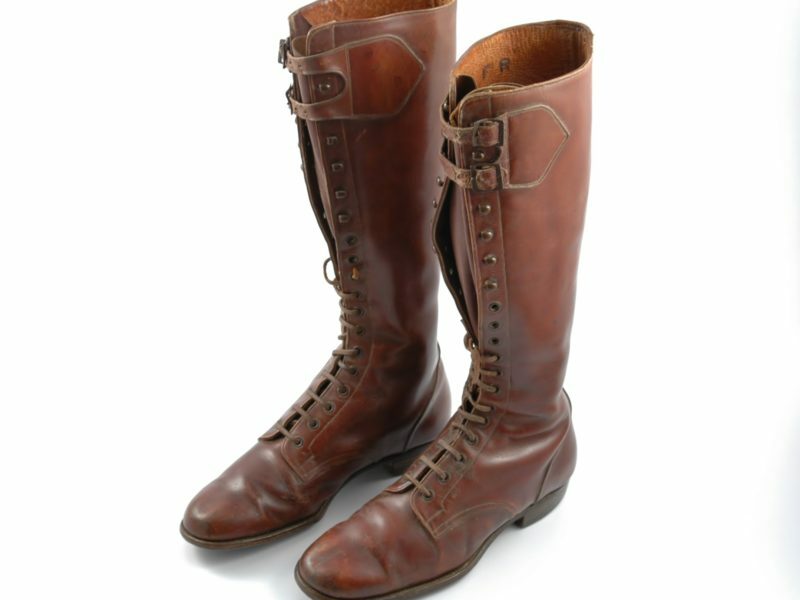 Cape Town Anglo-Boer War collector, the late Woody Nel purchased several items belonging to Lord Roberts from an elderly relative, Miss Roberts of Saffron Walden, Cambridge, including his riding boots seen in many photos of Roberts. 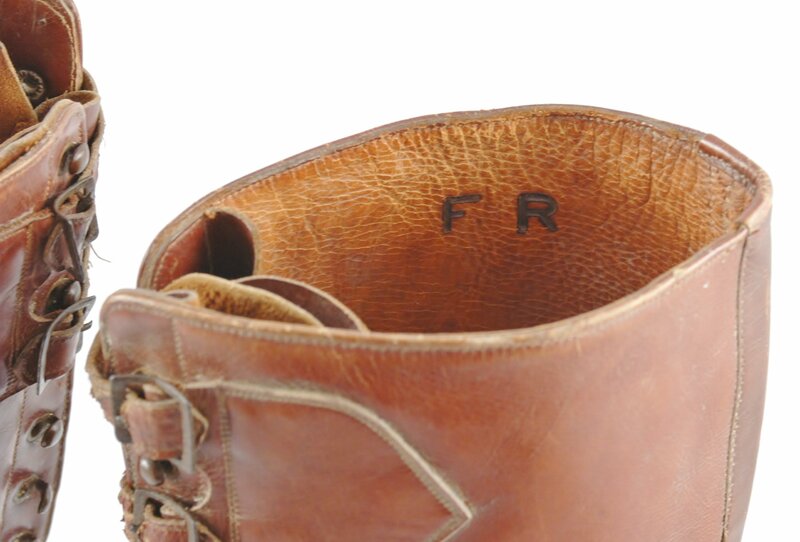 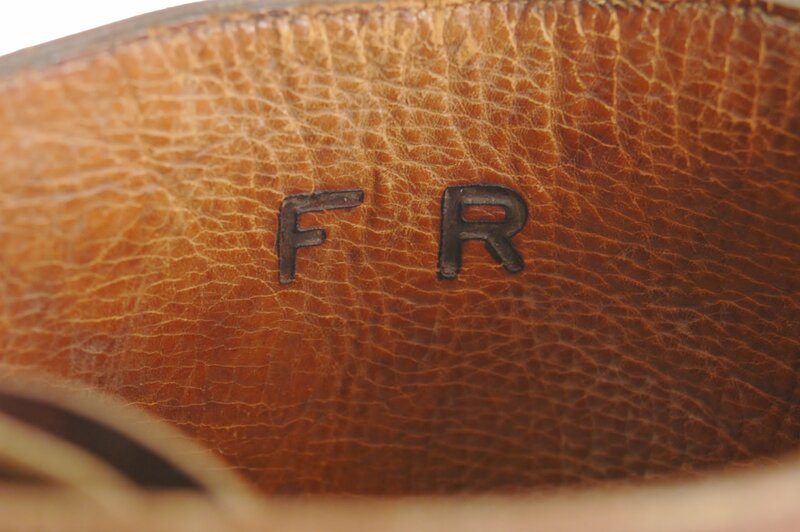 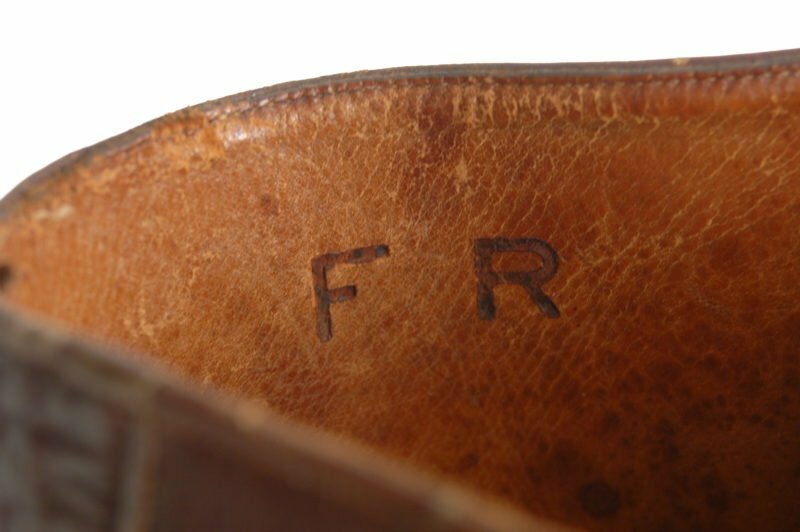 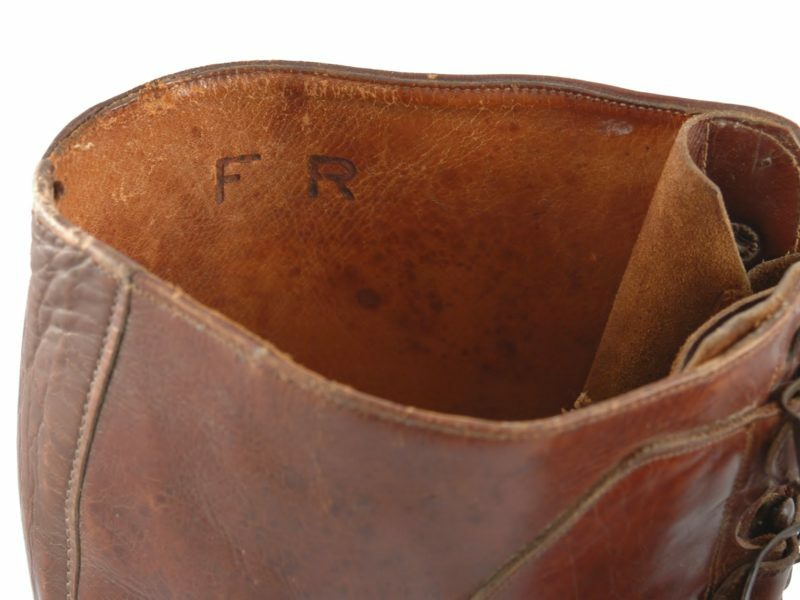 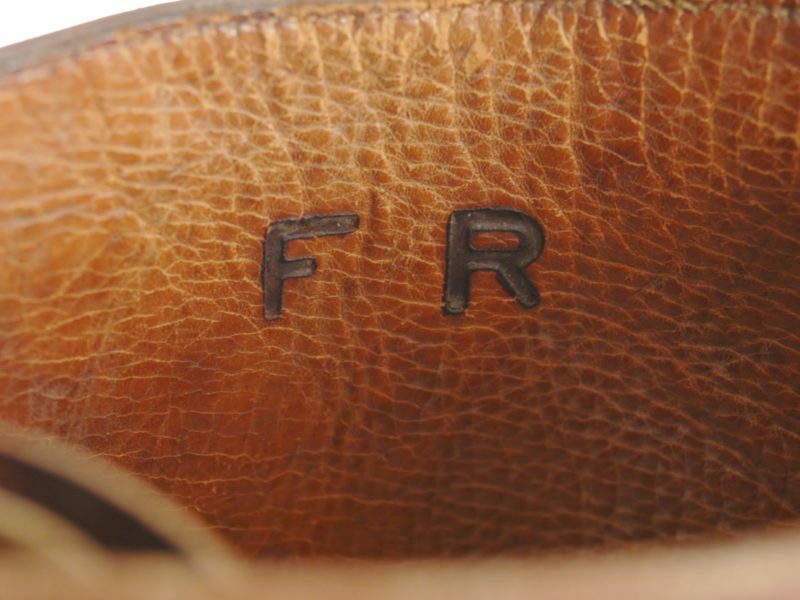 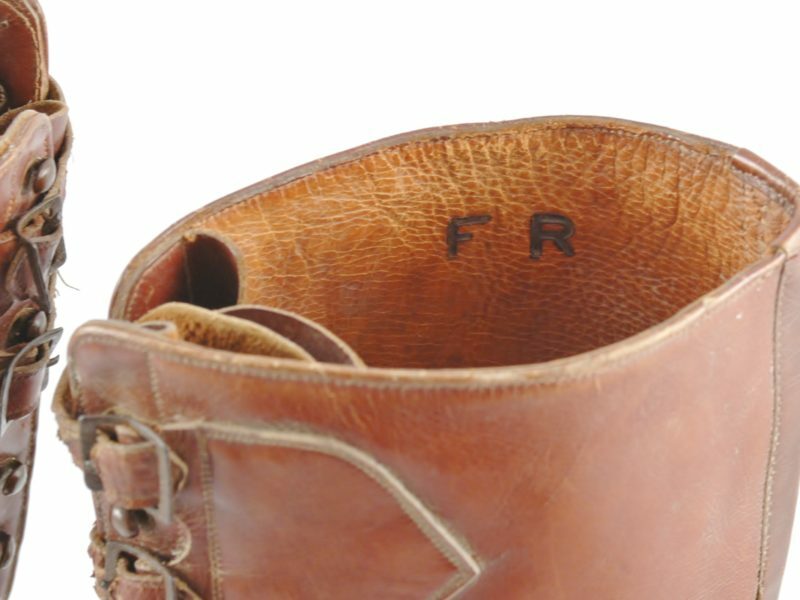 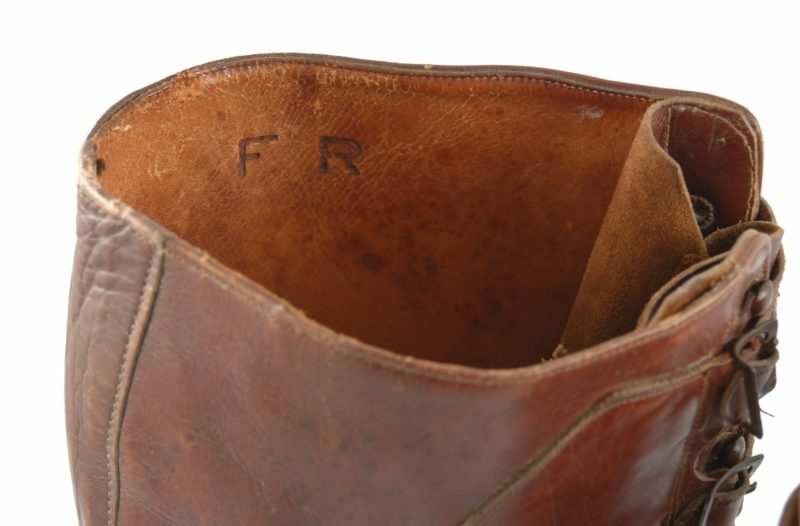 The boots are marked with his initials ‘F R’ on the inside. 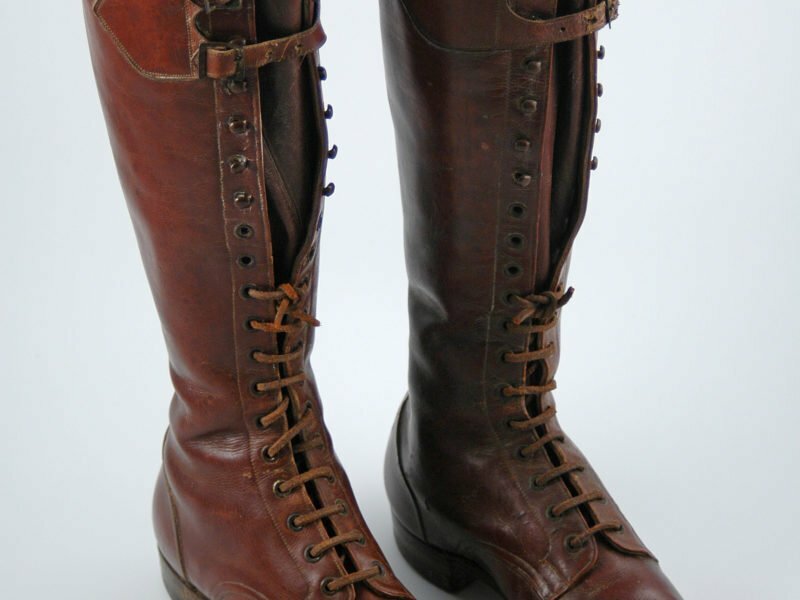 One of the aspects of these boots is their relatively small size, belying the fact that they were worn by a man of such great military stature. 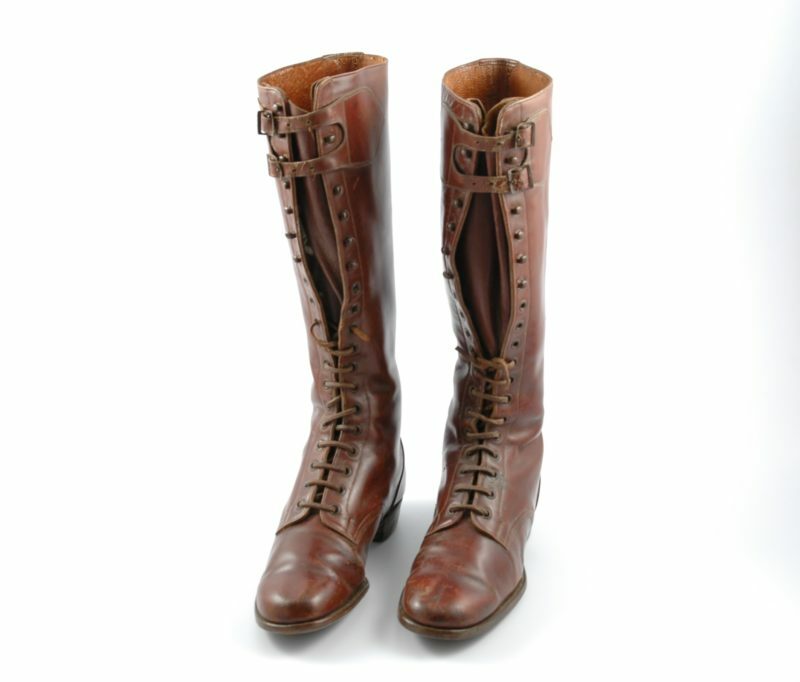 Dimensions: 39.5 cm tall by 25.3 cm long by 6.4 cm across the heel.